Polish Amor ♥: Sunny Bright!!! Good Morning lovelies, I hope you all had a great weekend. This is 2 coats of Salon Perfect Dandelion Delight, great formula. For the nail art I used acrylic paint. I hope you all an amazing week. I really like your accent nails! 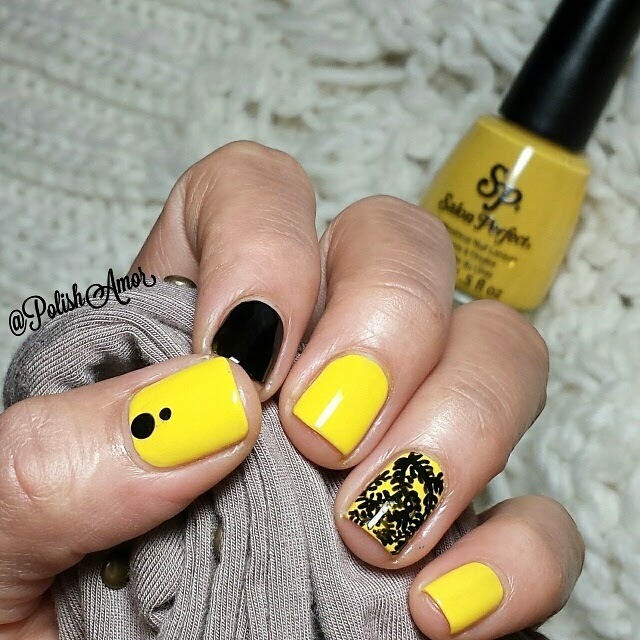 I don't use a lot of yellow because of it's brightness, I love it paired with darker colors, though! 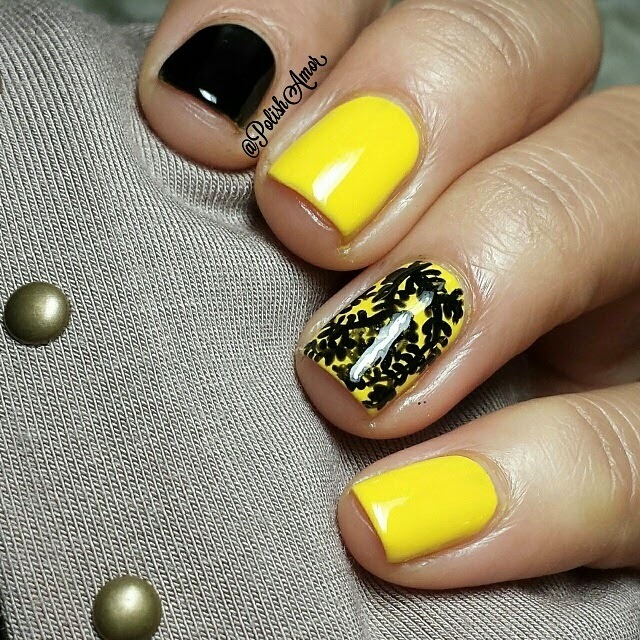 I'd never say yellow looks pretty, but you managed to tone it down perfectly by pairing it with black. I'll have to try this for those bright polishes I seldom use. All I need is some time for 'play', lol. loving the thumb! I love this color combo! Really impressed! its amazing, nice color combo.